This issue seemed to escape the attention of many (it was only advertised on the front page of Stamp Bulletin No 318). 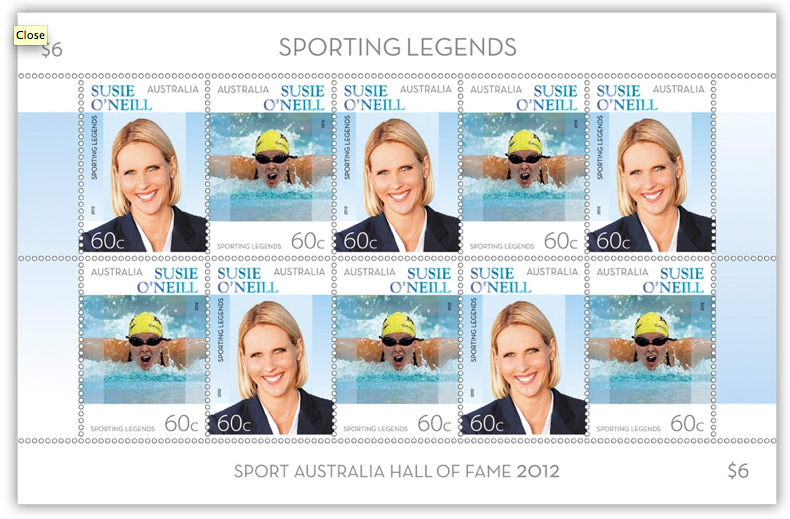 Olympian Susie O'Neill appears on Australia Post's new Sporting Legends stamps (released 12 October 2012). The issue is part of Australia Post’s Australian Legends program, and is created in partnership with the Sport Australia Hall of Fame. The aim of the issue is to honour an outstanding Australian athlete who has made a significant contribution to our sporting culture. Jo Muré designed the two 60c gummed stamps, which were issued in sheetlets of 10 (no self-adhesives were issued). McKellar Renown printed the stamps. 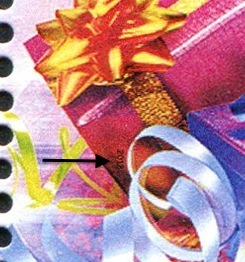 It is not yet known if this will be an annual issue or not. Australia Post will adjust the price for its higher weight steps from 22 October. The major change is the combining of the current 50-125 gram and 125-250 gram weight steps into a broader 50-250 gram step. For those sending heavier items overseas it will now cost less, but for those sending lighter items that don't just fit into the much cheaper 0-50 gram step the increase is significant. Coinciding with Stamp Collecting Month the Peter Rabbit pack and Mr Men and Little Miss booklets have arrived in post offices. Specialised collectors will find much to interest them. 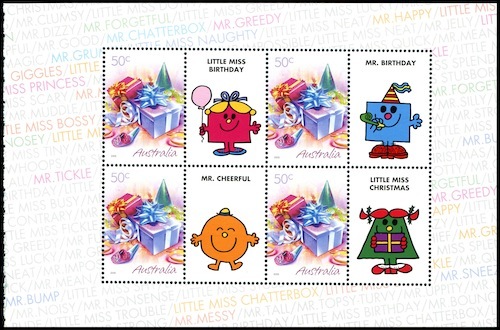 The Peter Rabbit pack is the first time the Filigree stamp has been printed with a tab, and all but one of the 20 stamps in the Mr Men and Little Miss booklets are new (all but one have a '2012' micro date included in the design).